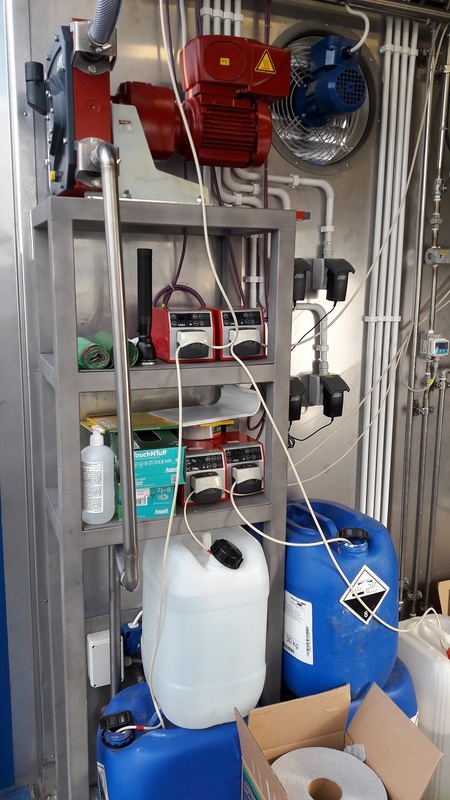 The pilot plant has been designed and constructed to enable long-term testing of different kinds of wastewater treatment technologies that make use of suspended growth and/or attached growth biological treatment processes. The wastewater treatment line encompasses primary and secondary treatment facilities. The physical-chemical primary treatment consists of two stage flocculation tank followed by sedimentation tank and filtration. 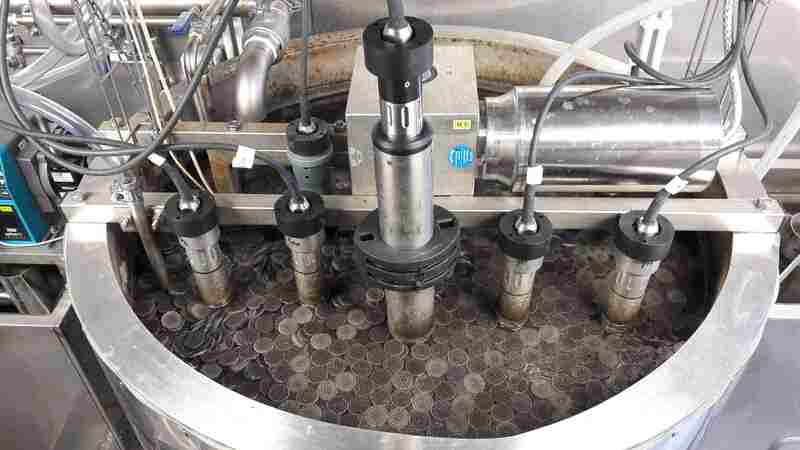 The secondary treatment incorporates two bioreactors coupled with settling tanks and equipped with mixers and air diffusers. The mentioned above unit processes can be operated in different configurations, which makes the plant flexible and easily adaptable to the client needs. 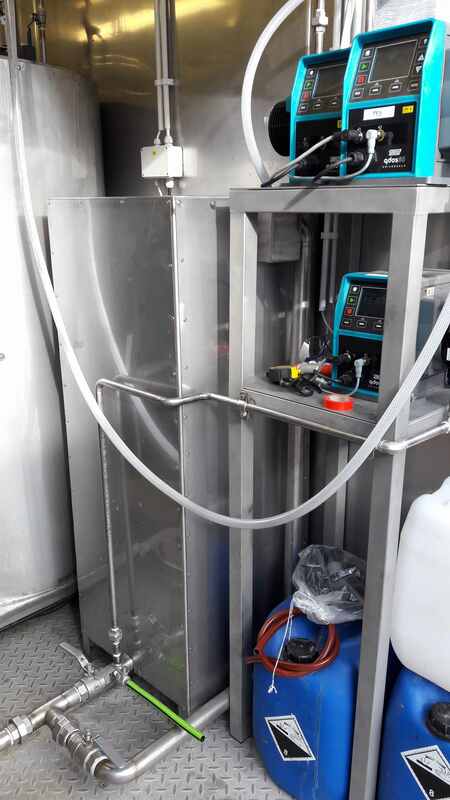 Performance of the process configuration being tested, can be monitored with in-line probes measuring solids, ammonia, nitrite, nitrate, oxygen, pH, conductivity and redox potential. Advanced PLC control system allows automatic regulation of process temperature, oxygen concentration and pH within the desired set-points. Moreover, operation of the pilot plant can be monitored and controlled remotely using PC or mobile phone. 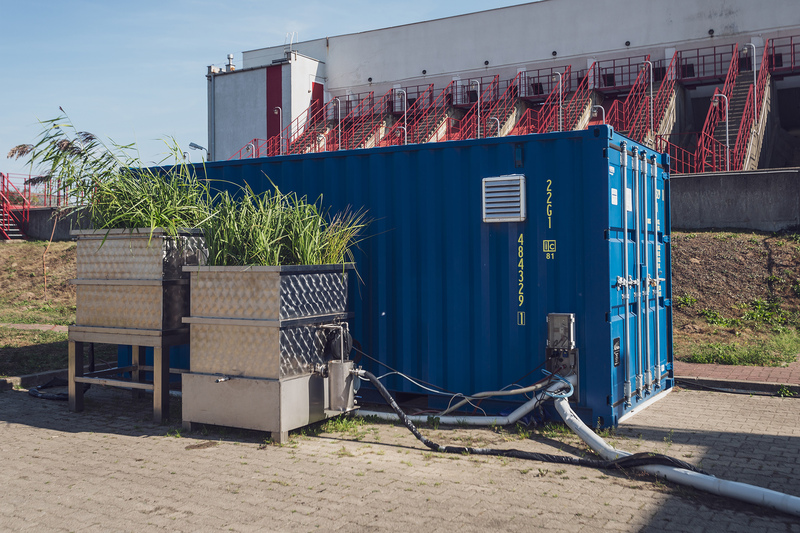 Mounting the pilot plant facilities within mobile shipping container (12 ft long) provides flexibility for clients that conduct pilot studies at different locations or operate multiple full-scale wastewater treatment facilities. Proposed innovative technology concept combines low energy consumption and cost-effective processes to achieve effective wastewater treatment and maximal recovery of chemical energy (organic compounds present in wastewater) for increased biogas production. Primary treatment consists of coagulation-flocculation-sedimentation process, followed by filtration for enhanced carbon extraction and phosphorus removal. 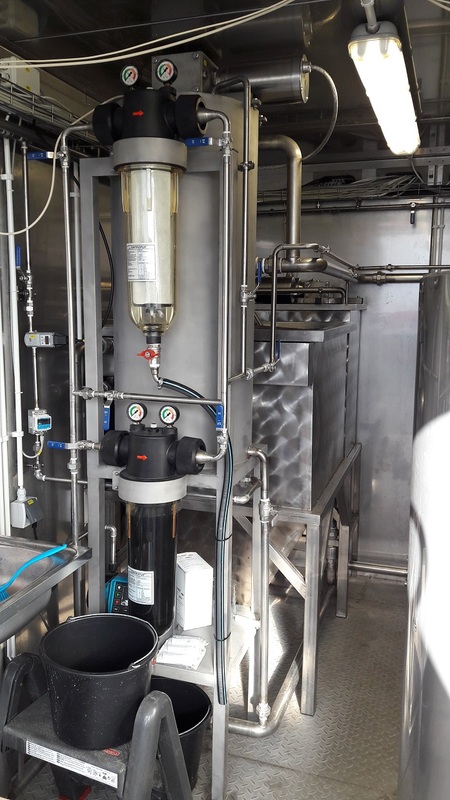 Secondary treatment incorporates autotrophic deammonification by partial nitritation-anammox process in integrated fixed film activated sludge (IFAS) system that features the benefits of both fixed film and conventional suspended growth activated sludge systems. The final post-treatment is demonstrated by two stage constructed wetland that provides low cost removal of the remaining organics and nutrients. Pilot studies of innovative high energy-efficient and cost-effective wastewater treatment concept at the Wschód WWTP in Gdańsk, Poland. The possibility of recovering a high fraction of organic carbon and removing nitrogen with nitritation-anammox process is seen as the key to achieve the ultimate in the energy balance positive wastewater treatment plant. Increased carbon extraction improves energy balance of a plant due to higher production of biogas that can be utilised in a combined heat and power plant (CHP) to generate surplus renewable power. The anammox-based process allows for a shortcut in the nitrogen cycle since anammox bacteria convert ammonium and nitrite directly into nitrogen gas. This enables nitrogen removal at 60% lower oxygen consumption compared to conventional nitrification-denitrification systems. Besides, the process does not require a carbon source for denitrification that allows higher carbon extraction. The innovative combined technology improves considerably energy balance and allows to make a plant cost-effective and energy-positive.